One of the most important decisions you can make when getting into the world of points and miles is selecting the best travel rewards credit card(s). This is especially true for small business owners, as the variety of cards out there today offer a dizzying array of bonus categories to maximize your earnings on business expenses. Whether you plan on redeeming your credit card rewards for yourself, your employees or a combination of the two, picking even a single card can result in a lucrative haul of points. Today I’ll add another entry to my series of posts the considers just how rewarding a new credit card can be in one year. In earlier entries, I’ve looked primarily at personal cards like the Chase Sapphire Reserve, the Southwest Premier Card and the Alaska Visa Card, though I’ve also analyzed the Ink Business Preferred and the Business Platinum Card® from American Express. Today I’ll look at another small business card so you can see just how rewarding the American Express® Business Gold Card can be in the first year of card membership. Both of these benefits come in the form of statement credits once you make the purchase, so you’ll pay for the two services on your card and then receive credit for them shortly afterward. Amex values these two perks at up to $3,100, but naturally, your mileage will vary based on how useful these services are to your business. We’ll be launched a deep dive into both of them soon. The other changes to the new card are much more positive, as you’ll now earn 4x points per dollar spent on your two top select spending categories every month (up to $150,000 in combined purchases every year). Unlike with the prior version, you don’t need to proactively select the types of purchases on which you want to earn bonus points. Every month, Amex will automatically determine in which of the applicable categories you spent the most (based on posted transactions). You’ll then earn the 4x bonus on those two categories and 1x point on the remaining four. If you can max out the 4x bonus, you’ll take home 600,000 Membership Rewards points, an incredible haul that can open up some terrific redemptions. The card also comes with a variety of added perks, giving you access to programs like The Hotel Collection and Amex Offers, though it also comes with an increased annual fee of $295 (See Rates & Fees). For full info on these benefits, check out Ethan Steinberg’s review of the card. You spend a total $5,000 per month in two of the above bonus categories each month, equaling $60,000 per year. You spend an additional $20,000 per year on the other four categories. You spend an additional $20,000 per year on all other (non-bonus) purchases. As always, your spending habits may differ substantially from these assumptions, so feel free to adjust them to more accurately reflect your earning potential with the Amex Business Gold. As you can see, this level of spending would allow you to earn 280,000 Membership Rewards points in the first year of using the American Express Business Gold Card. That’s a huge haul! Of course, earning points is one thing, but knowing how to redeem them for maximum value is a completely different story. Fortunately, the Membership Rewards program has a variety of valuable redemptions, most of which involve transferring to the program’s partners. If you’re looking to take a trip to Japan in the next year or two, the Membership Rewards program provides a couple of solid options to get there in style from the US. For starters, you could transfer your points to Etihad Guest. While you won’t get solid value redeeming those miles for award flights on Etihad metal, you can get some spectacular awards on the carrier’s partners. For example, American business-class flights from the US to Japan are just 50,000 Etihad miles each way, so with the above spending in a year, you’re looking at getting within striking distance of three round-trip awards. This is just a sample of the terrific value you get from Etihad partner awards. An even better option would be to transfer your Membership Rewards points to Virgin Atlantic’s Flying Club. The UK-based carrier is well-known for the horrendous fuel surcharges it imposes on its own award tickets, but like Etihad, it doesn’t belong to an alliance and thus partners with several airlines. One such partner is ANA, and the award chart for these flights are an absolute steal. A round-trip business-class award ticket from the West Coast of the US to Japan is just 90,000 miles, and if you start in the central or eastern portion of the US, the price is just 95,000 miles. Regardless of your departure gateway, you can snag three of these awards with 285,000 Membership Rewards points. Unfortunately you must book round-trip awards with ANA, and reservations have to be ticketed at least 48 hours before departure. You also have to call, as these awards aren’t bookable online. That being said, I’ve found Flying Club phone agents to be friendly and capable, and for these award rates, it’s clearly worth it. Start with a Star Alliance website or ExpertFlyer to find the award, then call to book! It’s also worth noting that transfers from Membership Rewards to both Etihad and Virgin Atlantic should process instantly. 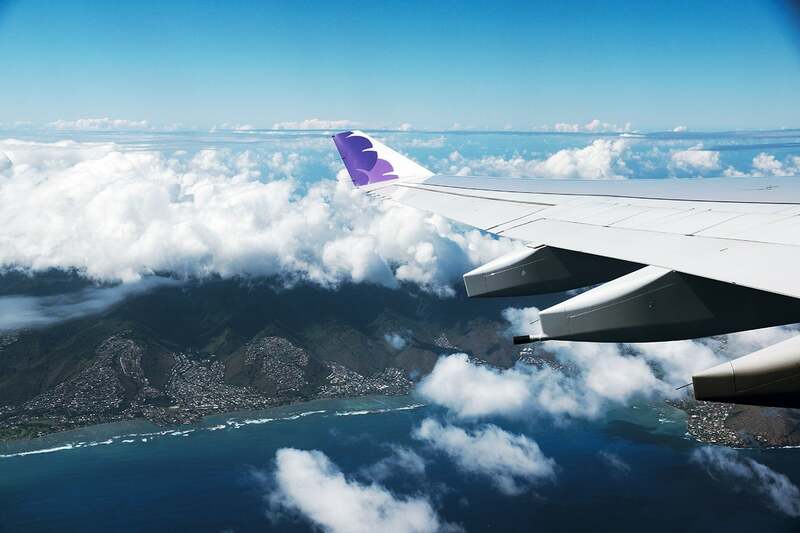 If you want to stay a bit closer to home, consider redeeming your points for flights to Hawaii. The Membership Rewards program gives you a couple of options for these flights, and my personal favorite is for West Coast residents. By transferring points to British Airways, you can take advantage of the carrier’s distance-based award chart to book tickets from several gateways to Hawaii for just 25,000 Avios per person, including Los Angeles (LAX) and Phoenix (PHX) on American or San Diego (SAN), Oakland (OAK), Portland (PDX) and Seattle (SEA) on Alaska. If you’re fortunate enough to have a transfer bonus when you’re ready to pull the trigger, you could wind up with even more of these awards. Company retreat, anyone? If you’re looking to get to Hawaii from the East Coast, you also have options (albeit less lucrative ones). For Star Alliance aficionados, you can transfer your points to Singapore to book round-trip United flights in economy for 35,000 miles, putting eight tickets to the Aloha State within your grasp. If you’d prefer to fly Delta, you might be able to book flights through Flying Blue, the loyalty program of Air France and KLM. However, I’d recommend this as a last resort, since the program switched to dynamic pricing earlier this year, and award availability with Delta can be challenging to find. You can redeem Aeroplan miles for Swiss business class with no fuel surcharges, just like I did with my daughter. Another terrific redemption option using your new haul of Membership Rewards points would be to book business-class award tickets from the US to Europe (or vice versa) on Star Alliance carriers. This is accomplished by transferring your points to and then booking award flights with Aeroplan, the program affiliated with Air Canada. A one-way business-class flight to or from Western Europe will set you back 55,000 miles, so you could book the exact redemption I did last fall: my wife, my daughter and I flew nonstop from Zurich (ZRH) to Miami (MIA) on Swiss’ fantastic 777-300ER. Total cost? 165,000 Membership Rewards points and ~$55 in taxes and fees. That being said, you’ll definitely want to pay close attention to Aeroplan fuel surcharges, as these can get out of hand on certain partners like Austrian Airlines. Nevertheless, this can be a terrific redemption if you’re looking to fly across the Atlantic in style. Flights less than 1,152 miles in distance: These flights, which include routes like New York (JFK) to Miami (MIA) and Phoenix (PHX) to Seattle (SEA), will cost just 15,000 Avios round-trip. You’ll have enough points for 11 of these with the spending activity above. Flights between 1,152 and 2,000 miles in distance: The second sweet spot should probably be considered medium-haul, as 2,000 miles can be a four-hour flight (or even longer). These flights are just 20,000 Avios round-trip; I use this award somewhat frequently to fly from Miami to the Caribbean on flights that regularly top $500. Remember too that you aren’t restricted to using Avios on American flights. In fact, when you fly out of other Oneworld hubs around the world, you’d only need 9,000 Avios for round-trip flights of less than 651 miles in distance (this redemption option was removed for flights in North America back in 2016). A final option for a year’s worth of Membership Rewards points from the Amex Business Gold card is to book travel directly. This could be a terrific way to help your bottom line if you regularly book travel for you or your employees, or it can help you defray some costs of your own personal travel. When you redeem your points through the Amex Travel site, you’ll get a flat value of 1 cent per point, which is much lower than TPG’s most recent valuations, which pegged Amex points at 2 cents apiece. However, one nice perk of this card is that you’ll get 25% of your points back when you redeem through Amex Travel. This is applicable to paid first or business-class fares on any airline or on economy flights with one airline you designate (which can be changed each year). This results in an effective value of 1.33 cents per point, and since these tickets are treated as paid flights, you (or your employees) will still earn miles and credit toward elite status by booking in this way. I’m a big fan of the Membership Rewards program, and I get a ton of value from my award redemptions with Amex points. With the addition of Avianca LifeMiles as a transfer partner in early November, it’s not surprising that the currency jumped to a tie for the top transferable point program in TPG’s monthly valuations. With a lucrative new earning structure that’s tailored to meet the needs of your business, the American Express Business Gold Card could be a great fit for your wallet despite its increased annual fee ($295). If you open the card now and use it exclusively for a year, you’ll unlock a wide variety of redemption opportunities. The calculation assumes a set amount of spending. If you’d typically charge more to your card in a year (or have a larger portion of your spending in the 4x bonus category), then your earnings will be even higher. The calculation assumes that you don’t take advantage of any Amex Offers during the year. In just the last year, I (personally) earned 51,846 extra points on my personal Platinum Card® from American Express, so your earning potential can be even higher. The calculation assumes that you only open one card. There are many others that will earn you bonus Membership Rewards points in certain categories, including the Blue Business℠ Plus Credit Card from American Express and the Amex EveryDay® Credit Card from American Express. These cards (and others like them) can be used right alongside the Amex Business Gold to boost your balances even higher. Regardless of where you fall on these last three items, hopefully this analysis has demonstrated just how rewarding a single travel rewards credit card can be, especially in the first year. For rates and fees of the Amex Business Gold Card, please click here.